60 is the New 30! I saw a clip on a morning show the other day about a 60 year old woman who has been winning awards as a championship body-builder who was about to embark on training for the grueling Triathlon. “Sixty is now the new Thirty” proclaimed the announcer. I have been associated with an extraordinary group of people over the years who have remained active and productive; some of them well into their 70’s and beyond. We build, we hike, we get involved in volunteer projects to benefit others. We joke about how we can fit an entire week into 24 hours. We laugh and sing and enjoy life. Advertising agencies have long been on a campaign to convince the American public that they’re “toast” after 25. BULL! We are who and what we think we are. Simply the mantra “Sixty is the New Thirty!” repeated over the course of the day is bound to put a spring in your step! Jack Benny was famous for telling everyone he was perpetually “39” – but that was a form of denial. Everyone laughed. But everyone knew that was a lie. “Sixty is the New Thirty!” is a revolution. It’s celebrating that fact that the mind has the ability to dictate to the body how it will function. Think that’s a bunch of bunk? Take a look at Health and Fitness Icon Jack Lalane, who died at the age of 96. He chose to celebrate his 70th birthday “handcuffed, shackled, and fighting strong winds and currents”, towing70 rowboats, including one with several guests, from the Queen’s Way Bridge in the Long Beach Harbor to the Queen Mary, for a total distance of 1 mile! Think he got up in the morning and thought about being old? I remember when Jane Fonda turned 40. She as well as a host of other actresses of the same age was being celebrated as coming of age – a new age of arrival for women. Now, as the life expectancy increases for humans, and the crazy, rockin’ “Baby Boomers” move into their sixties – there’s a renaissance afoot that’s likely to throw all the old conventions about “aging” right out the window! I, for one, celebrate this. * © Copyright POL 2005 © Copyright 2007 Parisha Online. All Rights Reserved. Amongst some of the more incredulously silly ideas humans have come up with is the notion that we can manipulate Time. The logic behind “Daylight Savings Time” has been accredited to many things, not the least of which include giving Farmers an additional hour to work their fields, energy conservation and folks just wanting more “time” to enjoy sunny summer days. In 1918, the U.S. Congress made the U.S. rail zones official under federal law and gave the responsibility to make any changes to the Interstate Commerce Commission, the only federal transportation regulatory agency at the time. When Congress created the Department of Transportation in 1966, it transferred the responsibility for the time laws to the new department. The American law by which we turn our clock forward in the spring and back in the fall is known as the Uniform Time Act of 1966. The law does not require that anyone observe Daylight Saving Time; all the law says is that if we are going to observe Daylight Saving Time, it must be done uniformly. Daylight Saving Time has been around for most of this century and even earlier. Time in the physical sense is a measurement. Manipulating a measurement is slightly arrogant. The idea that we humans can alter the laws of Physics or control the Sun borders on the absurd. It’s just about as silly as us thinking we can control the weather. (Although there is evidence that scientific technology exists and is being tested to “create” weather and geological events, and not necessarily to the benefit of the human population at large). So “Spring Forward, Fall Back” is an annual ritual in the U.S. – and other countries – that allows us the illusion that we are in control of natural forces and Physics Principles. Personally, I think this is more a reflection of how far removed we live from Nature. “Nature” is not something that we live isolated from, try as some of us may. Whether we acknowledge it or not, we humans exist in Nature. We are part of an eco-system, an environment called Planet Earth. Grandmother Pa’Risha has often shared how traditional Indigenous Peoples live connected to the Earth and Nature. What may be surprising to some is that Indigenous Cultures possess the wisdom of science, mathematics, physics, etc. Understanding and living in harmony with the planet’s natural forces to hunt, raise crops, build many of the “natural wonders” of the world and live in abundance is a part of their Being. They understand and live as the Wheel of Life. The further we grow away from our connection to nature, the natural forces and Principles through “civilization” we dull our senses and greatly curtail our quality of life. It’s a contradiction that is daunting. As we strive to improve the quality of life through technology, inventions and gadgets; the more we attempt to live by “convenience” and “comfort” – manipulating our environment, or even Time itself, the more we actually lose one of the greatest opportunities of Life itself – Living in Harmony with Creation. Our time here affords us the opportunity to explore, know and celebrate the Mystery as One with Creation. We need to open ourselves to our connection with Nature, not isolate ourselves from it. As has been evidenced by the devastating earthquake in Japan this week, there is no escaping the forces of Nature. But when we open ourselves to communicating with and being communicated to we can learn to hear her “messages” and have a greater awareness of when the Earth is clearing itself. With that knowledge we can live like the Indigenous Peoples still living traditionally around the world who, like the animals, birds, and fish, know when the Earth is relieving her stress through earthquakes, volcanoes, tsunamis or whatever and move to higher ground. We are the Creators/Observers of its Magnificence. But then we realize that we are those Forces. Where do I begin and you end? from the air of the plain? We are Creator and Co-Creator. I’m studying the Tao Te Ching. There are 81 verses. It’s possible to spend a lifetime studying these verses, which for the most part don’t have even twenty lines to them – but boy, do they nail Truth. Of course, I can’t really explain what I’m reading, but when I read it there’s an innate recognition – I feel an “Ah-hah.” Somewhere deep in my Being, I recognize Mystery. Paradox. Know it, but can’t explain it. Recognize it, but never saw it before. I do know that when it starts talking about the Master Teacher, I recognize my spiritual mentor and Elder of 25 years, Grandmother Pa’Ris’Ha. It’s uncanny. It seems the more we seek something the more it eludes us – whether it be prosperity, position, relationship – whatever. Perhaps it has to do with the Principle of Attraction. When we concentrate our thoughts on what we don’t have – our focus is on what we lack. We give so much attention to that that we end up creating more lack. Even when we’re carefully crafting goals in totally positive terms, if we’re concentrating on creating results, we are probably blocking our own success. We’ve become accustomed to plotting out the course to our goals. Quantum Physics tells us if we clearly define our beginning point and end point, the Universe will fill in the details. Another paradox. There’s an old Chinese proverb about a Teacher and student. The teacher starts pouring tea into the student’s cup but continues pouring even as the tea overflows and pours all over the table. When the student questions why, the Teacher responds that the student’s mind is like the full cup of tea. The student has come to the Teacher pretty full of himself. Only when the student would be willing to let go of what he thought he knew, i.e. empty his mind, would the Teacher be able to work with him. Recovery from addiction is a lot like that. We tend to walk in thinking we know what we need to do to “beat this thing” – and slowly we learn from the shared experiences of others present that in order to triumph over our addiction we need to “surrender,” form a partnership with the God of our understanding, and empty out what we think we know so we can really learn. If my best thinking got me in a place of dire straights, it’s highly likely that only by building my core values will I transcend my predicament. Empty out in order to receive. My ambition in life might be to rise to a particular position or status or income level – whatever – but only when I resolve to live a life of service will I achieve all that I want through helping others. That’s not my wisdom. I’ve been hearing it from my Elder for 25 years, only to be reinforced in recovery rooms, by inspirational speakers and business motivators. Now I’m reading it in the Tao. I guess when we finally quit complicating life we find the simple solutions. If you find yourself thinking about something, “It can’t be that simple!” – you probably need an Ego check. Lose your self-importance and gain Wisdom. I spent some time with a friend tonight who is fearful of losing his job. The details aren’t really important. What really matters is that he’s convinced that his Union is going to have him canned. He was talking about moving to …somewhere else…to start over again…somewhere where no one knew him. I shared with him that in 12-Step rooms we often talk about the problem with running away is that you take yourself with you. “Geographical cures” may seem desirable, but they’re totally ineffective. More than one person tried to remind him that sometimes Life has a way of closing a door for us that we weren’t able – or willing – to close for ourselves. He couldn’t really hear any of it. He was too committed to his fear. In his mind, a determination has already been made. He’s already packed his bags – in more ways than one. But the futility comes from the paradox of life that you can only keep something by giving it away. No matter how adept one is at “creating their day” or mapping out their life, at some point there is a handing over to God-Creator-The Source for the ultimate unfoldment. In my experience, God-Creator-The Source has always delivered a much more magnificent outcome than I could have imagined. Of course, that would be from the “hind-sight is 20-20” perspective, but even so, when I can remember I’m working in partnership with the God of my understanding, I can “let go” of the results and appreciate the journey. The flow of energy can only happen through a clear pathway. If we try to contain it, we stop it – like a giant circuit-breaker. Whether it’s a job, a relationship, money…if we allow for a flow of energy, a freedom, we create the pathway for it to return to us. If it doesn’t, it wasn’t ours to begin with. *Follow the Question Inward © 1994 Pa’Ris’Ha © Copyright 2007 Parisha Online. All Rights Reserved. Many people have screen shots of tropical beaches on their computers. 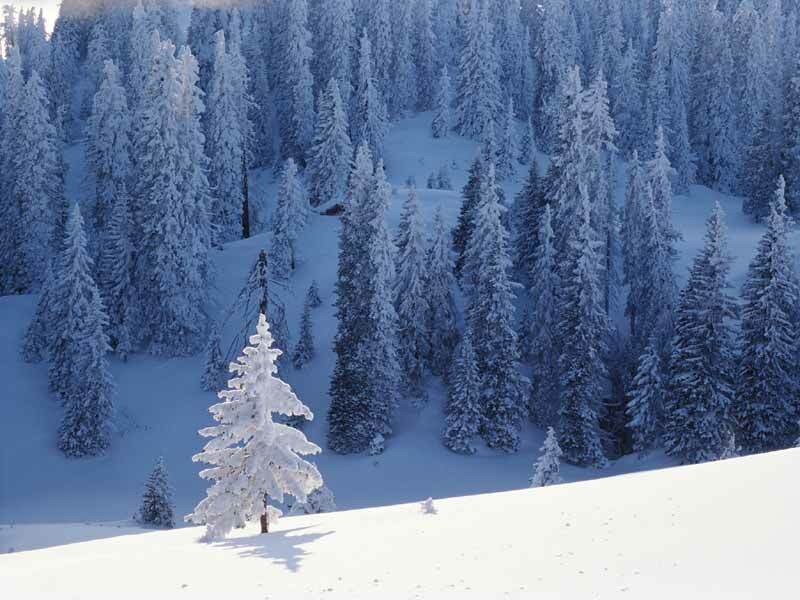 I have a beautiful winter scene of a snow covered hillside populated with tall pines trees. The virgin snow glistens in the sunlight and sits piled on the branches. There’s even pockets of deeper blue snow created by the shade. 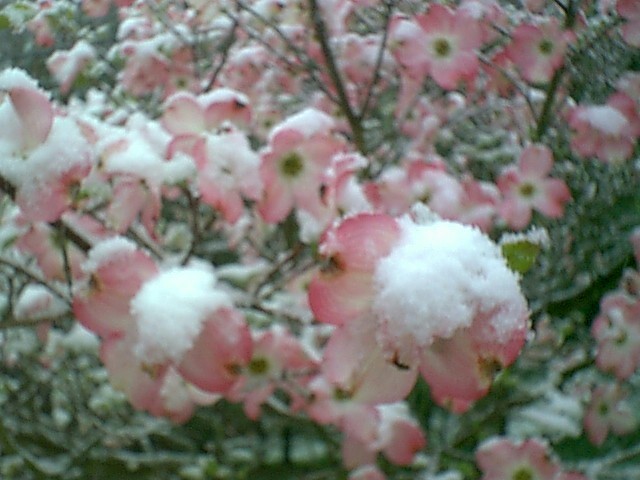 All is part of the “mystique” of snow for me. I drink that picture in every time I see it. 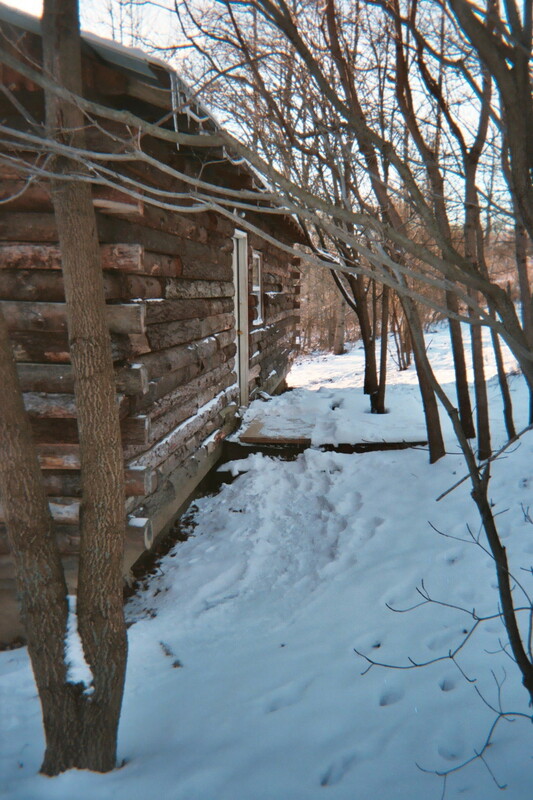 I lived in several different log cabins over the years in a rural setting with some close friends. One of the gifts of living there was walking up the hill to the far cabin from the main lodge late at night after (or during) a snowfall. There is nothing, to me, more exhilarating than the smell of the crisp air when the temperatures are in the low twenties or teens. There’s a clean smell that’s positively unique, like ozone. There’s a bite in the air that almost forces its way into your lungs. To me, it’s invigorating. I’ve always found the cold temperatures refreshing. I love it! There’s a stark beauty to a snow-covered hillside that transcends the bite of the cold. Even cities look cleaner under a fresh blanket of white! I love standing in the snow and holding my tongue out to catch snow flakes! Snow brings the kid out in me. When it starts snowing while I’m at work, and others start complaining, I look out and smile. “I love the snow,” I declare and they scowl and leave with their food and their unhappiness intact. I don’t let it touch me – I get the same feeling of magic looking out that window at the snow as I do looking at one of those little “snow globes” you can get with figures or scenes in them that “snow” when you turn them upside down and then right them. I have one on my desk with a snowman and a pine tree decorated for Christmas. We live in Nature. When we try to change it, manipulate it, destroy it, isolate ourselves from it, we are harming ourselves as well. We’re in denial. We are One with Creation. When we seek to live in harmony with it, appreciating it in all its forms, we open ourselves to “living in the miracle.” Living in appreciation far exceeds living in denial or condemnation. Kids splash in rain puddles, build snowmen/women 🙂 and lay down in the snow to make “snow-angels.” When “inclement” weather happens, let the little kid out in you – go PLAY! To Live Fully in Joy ©2008 Pa’Ris’Ha. All Rights Reserved. © Copyright 2007 Parisha Online. All Rights Reserved. I have learned the importance of seeking a “reflection” over the years in my association with Grandmother Pa’Ris’Ha. A “Reflection” – just as the word implies – is a starkly objective feeding back of what you give to it. It does not judge, it does not seek to improve upon or make better or compensate for, but like the mirror – which holds no opinions of what it sees – it merely “reflects” back. A great coach is an accomplished Reflector. I taught swimming for ten years through the Red Cross Water Safety programs at Girl Scout summer resident camps in Michigan and Ohio. This was long before the age of camera phones, digital movies, etc. We had to use words to communicate to our swimmers – to help them understand the difference between what they were doing and the proper execution of a swimming stroke. One tool that I developed that became tremendously successful was the ability to mimic the student’s movements. So I became a sort of live human “video-cam” to “playback” their execution in the water while they watched from my vantage point on the deck. One thing it allowed was for them to laugh at themselves when they saw the sometimes large gap between what they thought they were doing and their actual movements. I would show them what they were doing and then show them the correct stroke. It turned out to be a very successful teaching tool. Whenever I had to correct a student’s stroke – I gave them something they were doing right. I found something they were executing correctly and reinforced that. But I didn’t lie to them. I didn’t try to look past or minimize what they were doing wrong. I showed them what needed adjusting – in order to perfect their technique and execute the stroke properly. A good swimming teacher has two objectives in mind. Some students will want to compete. So they’re interested in speed and efficiency. But ALL students need to be drown-proof. A good swimming teacher will give their students tools that will help them maximize their energy in a survival situation, and keep them from exhausting themselves in practice or recreational swimming. The fact is swimming strokes have been modified and stream-lined over the years to require less energy and maximize a swimmer’s power working together with the resistance factor of the water. When executed correctly, a swimmer can utilize the resistance of the water to propel themselves forward, maximizing and even conserving energy. When executed sloppily or incorrectly, the swimmer can actually find him/herself working against natural forces and will exhaust themselves in the effort. My goal was always to help my swimmers achieve their best performance – whether for competition or just plain efficiency. I helped them there by holding no judgment of what I saw, reflecting their performance back to them and helping them to make the necessary and appropriate corrections to bring them up to optimum performance. Grandmother Pa’Ris’Ha has been the ultimate coach in my life. She holds no judgment, reflects without distortion and stays steadfast in her commitment to helping others achieve excellence. I haven’t always been the best student, but I’m no quitter. So long as I don’t give up on myself, Coach Pa’Ris’Ha is there. I have been very blessed to have someone in my life who cared enough about me to help me be my best. Too often we surround ourselves with people who are afraid to offend us, who are afraid to deliver the truth. But then that simply enables us in our weaknesses. It really doesn’t serve personal development, in fact it stunts it. Personal growth requires stretching beyond our comfort zones – being willing and able to take direct feedback without injury and change. If I run from the truth, I live in a world of denial. The fact is that that existence creates a far greater pain than facing the truth and acting upon it. With the support of a skilled and compassionate but firm coach, learning from a “Reflection” can become a life of discovery and unfoldment. * from Grandmother’s Legacy. © Copyright 2007 Parisha Online. All Rights Reserved.